Lots of sun for a top-level knowledge transfer at Corvatsch in Silvaplana-St. Moritz (CH). It happened again from 7th-13th May 2011. 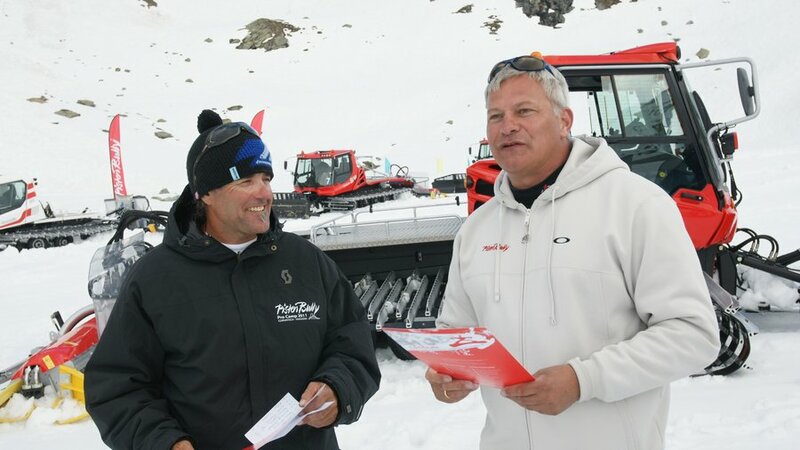 Experts from all over the world met for the 10th International PistenBully Professionals' Camp. Throughout the two days of intensive training the professionals, who were selected using rigorous standards, not only showed the latest trends and lots of little tricks for fun park construction, but also focuses on family parks. 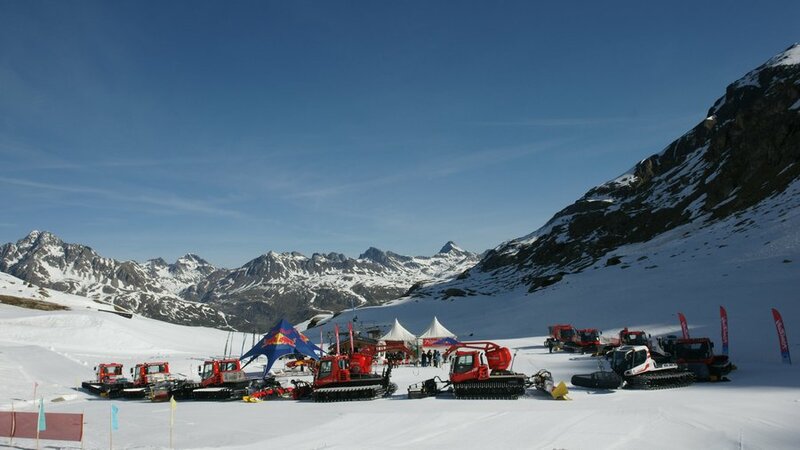 Bare theory was supplemented by practical exercises on-site with the latest PistenBully, ensuring the success of the Camp. The themes of safety, snowtubing and basic knowledge of SNOWsat were also covered. Over 60 participants from more than 15 countries created a great mix and a lively cultural exchange. They were unanimously impressed by the great organisation of the PistenBully Professionals' Camp effected by Wolfgang Lutz from Kässbohrer Geländefahrzeug AG and Reto Sporrer, who is very experienced and has been a partner of Kässbohrer with regard to fun park construction and knowledge transfer for many years. The preparation team of Markus Moser worked tirelessly behind the scenes to support the event in Corvatsch. The 10 PistenBully were the stars. Alongside the park specialists PistenBully 400 Park and 600 Park, all eyes were on the winch machines: the PistenBully 600 W and 600 W Polar with active winch and brand new 4.5-t rope pull for increased safety. Sensors and acoustic signals warn the driver of any coiling errors and show the remaining available rope length. More power, increased service life for the gear wheels and shaft bearings and a usable rope length of 1,050 m all speak in the new winch's favour. The Formatic 350 and the PistenBully 100 completed the presentation at an altitude of 3,000 m.
Good organisation, a superior programme and an extremely high level of practical events. The PistenBully Professionals' Camp is an attractive combination of advice, training, lots of information and communication. These are the success factors of the PistenBully Professional's Camp, which will not easily be forgotten by the impressed participants. A successful end to the season!